Tony and Cath have been serving with AIM since 1998. For 20 years they worked alongside the Africa Inland Church in Tanzania (AICT), where Tony coordinated the Institute of Bible and Ministry and Cath worked in HIV and children’s ministry. Soon they will be moving to Entebbe, Uganda to carry on their work as AIM’s African Mobilisation Consultant and Child Safety Officer from a new location. 80% of Uganda is engaged in agriculture. The healthy economy of the 1960s was crippled in 1972 by the expulsion of the Asian business community, and then virtually destroyed by tyranny and wars. It has steadily improved since 1992. Under previous government regimes there were restrictions on persecuted Christians, but there is now freedom of religion. Before Tony and Cath started serving with AIM in 1998, Tony worked as a pastor and Cath as a health visitor based in West Sussex. From 2005 they worked alongside the AICT in Morogoro, Tanzania – Cath originally in HIV and children’s ministry, and Tony coordinating the Institute of Bible and Ministry. This is a multifaceted ‘on the job’ programme of teaching and dynamic interaction which aims to ‘enable, mobilise and inspire’ church leaders to a closer walk with the Lord and increased effectiveness in ministry. The Swansons believe that the Church is God’s chosen way to bless and transform communities and the world. As Christians faithfully live as salt and light in their communities they are beacons of hope, justice, healing, revelation and living faith. The African Church is growing, vibrant and confident in the gospel, and has tremendous untapped potential to reach the unreached with the good news of Christ. AIM created its African Mobilisation Hub to help AIM serve churches in Africa by enabling them to send their own missionaries. 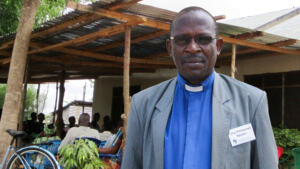 Since 2015, Tony has been AIM’s African Mobilisation Consultant, coordinating the Hub’s work and ensuring that it stays focussed on its aim of seeing African Christians being sent to the mission field. Cath is AIM’s Child Safety Officer. AIM takes seriously its God-given responsibility towards the children of its missionaries, longing to see them develop into confident adults who know and love Jesus and can thrive in this fallen world. AIM also has several ministries among African children and recognises its responsibility towards them to ensure a high standard of conduct and care. Cath leads the Child Protection team, dealing with safeguarding issues and helping AIM to be an organisation where children are safe and cared for. 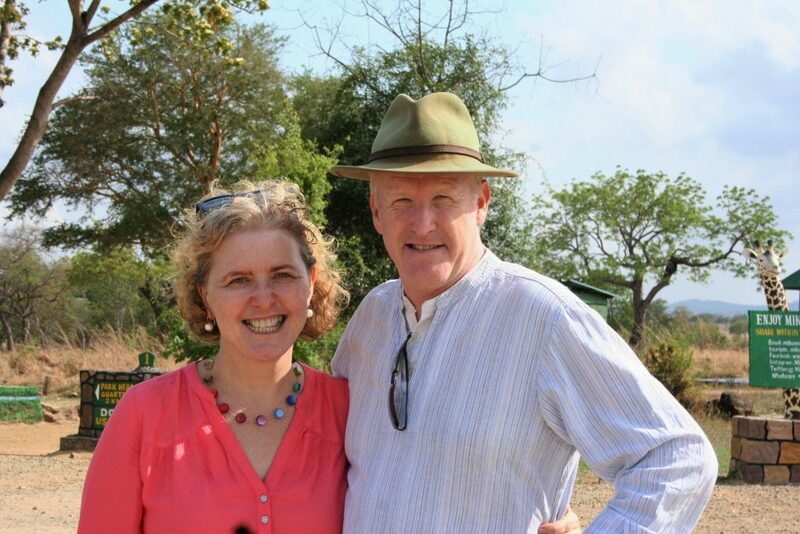 Tony and Cath are moving from Tanzania to Entebbe, Uganda. As the home to Uganda’s main international airport, moving here will better facilitate the international travel that both their roles involve. Could you partner with the Swansons in this work? Tony and Cath work for AIM’s International Office. Tony is AIM’s African Mobilisation Consultant and Cath is AIM’s Child Safety Officer. If you would like to partner with the Swansons in your prayers, gifts and practical support, please download and complete this form and return to Freepost RTJH-JRZE-XXKX Africa Inland Mission, Halifax Place, Nottingham NG1 1QN. 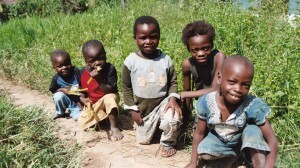 How do we protect children?- “Child protection on the mission field? I don’t understand…” Cath Swanson explains about her role as AIM's Child Protection Officer. 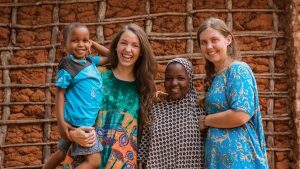 Why are we mobilising Africans to mission?- How will the growing church in Africa fulfil its responsibility of taking the gospel to the remaining unreached peoples of Africa and beyond?